One of my favorite podcasts to listen to is Finding Mastery: Conversations with Michael Gervais. He has some amazing guests from a wide variety of fields- from business to sport to military and more. Every one of his podcasts that I have listened to I have thoroughly enjoyed and has been able to take away ideas that can help me grow. In the podcast, Gervais and NBA Golden State Warriors Steve Kerr discuss all the success he has had as a coach and as a player. More importantly, they talk about the process of the success he has had- from a time he was a player to now a coach of the best team in the NBA. He examines the things he has learned from his mentors along the way and how he has applied those lessons to building the culture of the Warriors. For Kerr, it goes well beyond the wins and the championships. It is in search of something else, something much bigger. It starts with his 4 core values: Joy, Mindfulness, Compassion, and Competition. NBA Golden State Warriors Steve Kerr tells us that your core values need to reflect you and the way you want to operate. Don’t choose core values because that’s what one of your coaches used or what other successful organization values. They need to be a reflection of what is important to you and your program. Additionally, your core values must be clear and must be things that you practice every day. 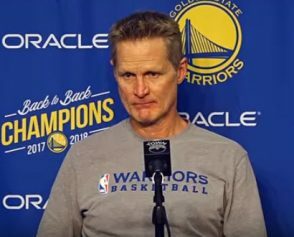 Of the four values, Kerr says that joy and compassion are the most important values for the Warriors. “The value that means the most to our team is joy, and it’s reflected in the way we play.” It was crucially important that the Warriors play with the joy that players experience as kids. For professionals, it can become too business-like. He wanted his players to find fun and excitement in playing the game. 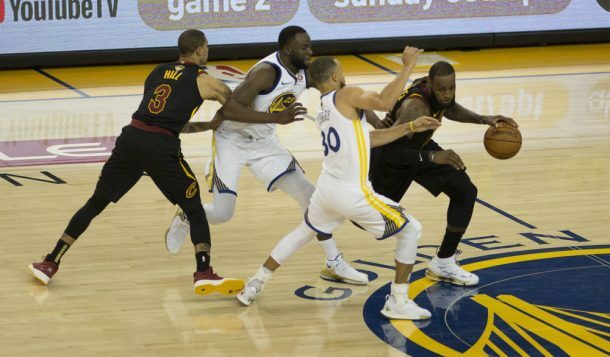 Thankfully, his star player and team leader, Steph Curry, embodied everything that Kerr holds important. He is the living example of Kerr’s 4 values. When your best player embraces and lives the values you are trying to establish, it becomes much easier to lay that foundation and get buy-in from the rest of the group. Kerr’s process, combined with a talented roster, has no doubt produced great results. Kerr now tells us that his biggest challenge is to keep his team engaged and motivated going forward.